The Battle of Haw River occurred near the Haw River in North Carolina on February 25, 1781, late in the American Revolutionary War. 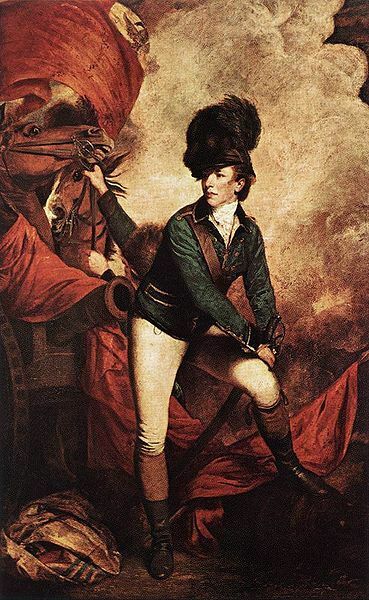 Patriot militia leader Colonel Henry Lee deceived Loyalist militia under John Pyle that he was British commander Banastre Tarleton sent to meet them. His men then opened fire, surprising and scattering Pyle's force. Lee led his cavalry alongside Pyle's men, and shook Pyle's hand. He was about to inform Pyle that he was surrounded and demand his surrender when gunfire broke out at the back of the cavalry line. One of Lee's captains, Joseph Eggleston, apparently unaware of the deception, had asked one of Pyle's men for whom they fought. When they answered "For the King!" he cut one down with is saber, precipitating the first shots and a rush by Pickens' men. The cavalry line turned and also attacked the Loyalists. Pyle's men broke and ran, but many were either killed or wounded in the early exchanges.